Click here for a tentative schedule of events. 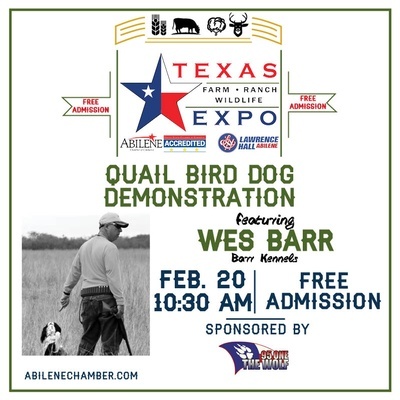 Trade show is free and open to the public. Booth prices vary. For booth information, please contact Kim Bosher here. 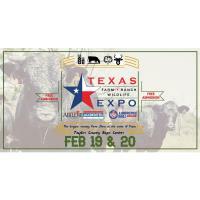 The Texas Farm Ranch and Wildlife Expo (TFRWE) is a unique, one-of-a-kind agribusiness event that serves as an opportunity for vendors to interface directly with a combination of farm, ranch and/or wildlife managers and rural consumers in the Big Country. 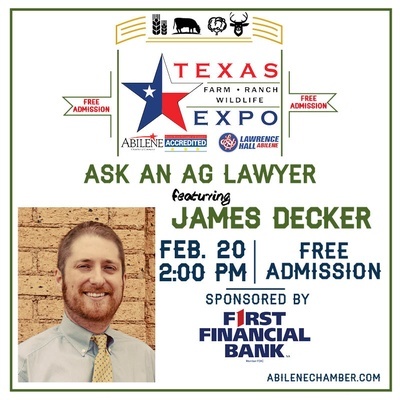 This event, hosted by the Abilene Chamber of Commerce’s Agricultural Committee, showcases more than 80 businesses and 150 booths with an attendance of 3,500 plus. 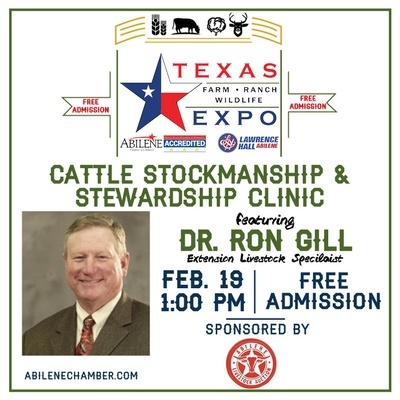 The Texas Agrilife Extension Office provides continuing education opportunities for the Big Country agribusiness community. 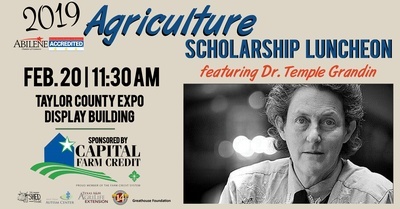 The annual Agriculture Scholarship Luncheon – held on the second day of the event, honors the Farm Family of the Year, while raising money for local agriculture scholarships.